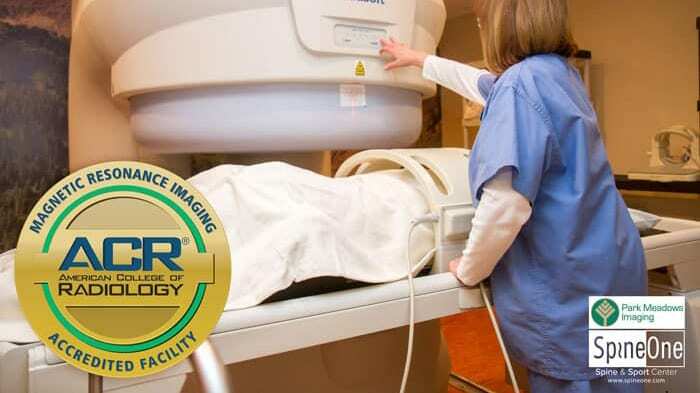 Park Meadows Imaging has been awarded a three-year term of accreditation in magnetic resonance imaging (MRI) as the result of a recent review by the American College of Radiology (ACR). MRI is a noninvasive medical test that utilizes magnetic fields to produce anatomical images of internal body parts to help physicians diagnose and treat medical conditions. and The Surgery Center at Lone Tree, offering same day minimally-invasive spine & joint treatments.